Matthew Cox is 43 years old and relocated to the Gulf from the UK in 2003. During his time in the region, he has worked in Qatar, the Sultanate of Oman and the UAE. He is currently employed as the Corporate HSE Manager of a major European Civil Engineering company, overseeing its operations in the United Arab Emirates. Matthew joined The International Institute of Risk and Safety Management ( IIRSM ) in 2010 and assumed the role of Middle East Branch Chairman in 2013. 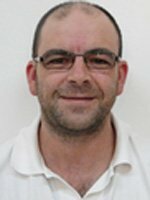 Whilst based in the region , Matthew has strived to promote and develop awareness of and within the profession and through his association with IIRSM has established collaborative partnerships with various regulatory authorities, assisting them with the development of Occupational Health and Safety legislation. In 2014, he was recognized by the UAE Ministry of Labour for his contribution to Occupational Health and Safety in the country and additionally, became the first overseas based recipient of the Prestigious IIRSM Presidents Commendation award, in recognition of his services to the Institute in the region.